Creativity comes with patterns- patterned furniture is very popular these days. This is especially true for the living room furniture. Sofas and couches these days are available in a number of patterns, colors and designs that make them look quite contemporary. Gone are the days of monotonous sofa. Now, you have all the rights to paint your living room like canvas and feel like an artist. Let your creative juices flow and play with the patterns. Most of the people like to go with artistic or geometric patterns. However, a few minimalistic floral patterns are in trends too. Storage Beds- beds are one of the largest pieces of furniture that you can buy for your home. They occupy a lot of space and are generally very difficult to move. You must use this space consuming feature of the beds and then them into positives for yourself. Storage beds are much in demand these days. These beds have underbed spaces that can be used to store your seasonal cloths, quilts, blankets and everything else that you might like. Antique furniture with a twist- antique furniture has a unique charm of its own that cannot be surpassed by any other kind of style. 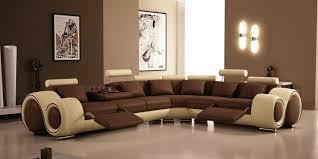 However, modern homes do not have enough of space and elements to accommodate the big and bulky antique items. You can still get all these items home by buying antique furniture that comes with a modern twist. This kind of antique reproduction furniture is available in many modern colors and designs which makes them perfect to be kept in a modern home. Big furniture is gone, time for small- the trends suggest that people are now moving away from big furniture items that are excessively overpriced. They are now opting for the smaller furniture made of solid material that comes at an affordable price. There is not much of arm space, nor are the pieces supersized. White is the color of the season- be it the furniture of the house or the paint accents on the walls, white has carved a niche for itself. This kind of furniture is much in demand these days and people are really looking forward to buying white painted furniture. It matches well with any kind of contemporary décor and also gives a unique sophistication to the room. Modern industrial design is in for home offices and kids’ rooms- the modern industrial style is based on the use of metal with wood or other materials. The designs are usually minimalistic but are quite practical and functional. Therefore, home offices and kids’ room furniture is being made available in this style. It packs in all the elements of beauty, sophistication and practical designs. Making it a perfect choice for the rooms.